If you are a passionate punter and just love it to bet on your favorite team and games then Matched Betting could be the right thing for you. In order to do it right from the very beginning, discover how to create your account at Oddsmonkey and enjoy a nice promotion code. Oddsmonkey is around since 2011 and has established itself to one of the most popular providers in the industry. But why is that? The company is based in England and also licensed there. This makes it to a trustworthy provider of matched betting software and tutorials. Oddsmonkey was the very first company that provided its customers a specialized software. This software finds the odds of each game taking part not just in the UK but worldwide. On their platform, Oddsmonkey provides both a free trial and a premium offer. But what’s the difference and what does a customer get exactly out of these offers? Once you open the website of Oddsmonkey, you have the option to sign up for their free trial. All you have to do is put a few personal details in, such as name and a valid email address, and you are good to go. Training Guides for Beginners: Here you can see, how matched betting works, what you need to start with it and so on. Basically, it’s the first stepping stone for your Matched Betting career. Basic customer support: Should you have any questions, then you can reach the customer service of Oddsmonkey either via email or live chat. Oddsmonkey states on their website, that you can earn up to £45 if you follow the intro videos and do your first two sign-up offers. Also, you don’t have to add any payment details, which is a big plus. After your registration, your account is instantly active. That means that you can start out with your trial immediately. 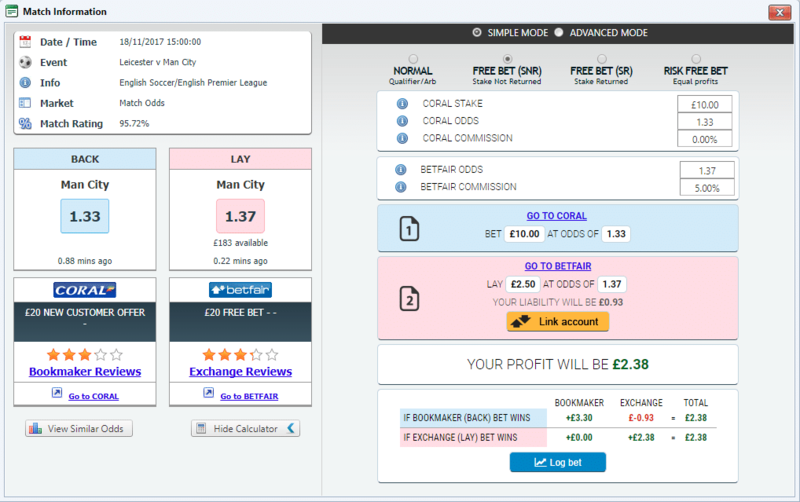 After the trial period, you can decide, if Oddsmonkey is a match for you and you can switch to their paid subscription. Here, the real fun begins. If you are really into Matched betting after your trial period, then you can join their community and switch to the paid subscription. You have the option to either pay monthly or for the whole year. Either way, Oddsmonkey guarantees you, to pay your money back, if you are not happy with their services. This is valid for the first 30 days after subscription. What what do you get exactly for your money? First off, you get more than 100 different tutorial videos, which you can access instantly. These videos really explain step-by-step, how to use a sign-up or reload offer, how to use the different calculators and so on. Especially as a beginner, those videos are essential to be successful as a Matched Better. Oddsmatching Tool: This is the core of their platform. Here, you can search for certain bookmakers, matches, and odds. This tool will save you a lot of manual work. Offer calendar for every day: Here you can see all the sign-up and reload-offers from all the bookies. This section gets updated multiple times a day. Online forum: Here you can ask all the questions, you might have while doing your matched betting. Furthermore, you will find even more offers which are manually added by the members. Premium customer support: You can reach their customer service 24/7, either via email, live chat or telephone. So, how does Oddsmonkey and Matched Betting actually work? What do you have to do to get started? Also, you need to live in the UK. In order to get started with Oddsmonkey and Matched Betting in general, all you need is a small amount of money (you can start with as little as £50), a credit card and that’s it. Basically, you exploit sports betting offers from bookies in order to make a profit. To eliminate the risk that comes naturally with an uncertain outcome at sports betting, you place bets for both possible outcomes. An example: You bet that the FC Liverpool wins and place also a bet that it doesn’t win. In this way, you cannot lose as all outcomes of the match are covered. But how can you do that? You place a so-called “Back Bet” with a bookie of your choice. This means you bet that the FC Liverpool wins. But if it there is a draw or Liverpool loses, then you lose your bet. That’s the reason why we need to place a “Lay Bet”. This means you bet that Liverpool, for example, doesn’t win (this includes both, a draw and that Liverpool loses). You need to place this bet at a sports exchange, such as Smarkets or Betfair. So what Oddsmonkey does, is, to search for the closest odds between a certain bookmaker and sports exchange. In this way, you can find the closest odds and you can minimize the risk and maximize your profit. But how can you make a profit from that? That’s what we are going to explain to you in the following section. Step-by-Step Guide to Matched Betting: This is the basic video that explains what matched betting exactly is, how it works and how you can make a profit from it. It’s a pretty long video. The nice thing is, that it is accompanied by a written instruction to Matched Betting. You should read and watch this first tutorial carefully as it is the first step to your matched betting career. Betting Exchanges: Here you can learn everything about the betting exchanges. There are 4 in the UK at the moment, the 2 biggest and most important ones are Smarkets and Betfair. Oddsmonkey explains you step-by-step how they work, what you have to do, how you can open an account there and so on. The Premium Odds Search: During your free trial, you have 3 days to make use of their core product – the premium odds search. In this tutorial, Oddsmonkey gives you an overview of the features, how to use the odds search, what you have to look out for and so on. The first sign-up offer: Here you can earn your first money with matched betting. You learn from scratch how to register with the bookie, what to do to get the welcome bonus and how you place your back and lay bet. With this offer, you place £5 and get a £20 free bet. Oddsmonkey states that you can earn up to £16 with this offer. The second sign-up offer: It’s again a tutorial on a sign-up offer but with a different bookmaker this time. Again, you place £5 and get a £20 free bet. The profit you can make from this offer is again around £16. So now that you know what you can get with both, the free and premium offer, at Oddsmonkey, it’s time to explain how Matched Betting exactly works. First things first: is it legal? Absolutely. In the UK, it is not only legal but also absolutely tax-free as it is treated as gambling. That’s good news, isn’t it? Bet x and get x. Get x, no deposit needed. When you sign up with a bookie, there are mostly 2 steps: the qualifying bet and the free bet. First, you place the qualifying bet. Here you are going to use your own money. Because you use the Oddsmonkey calculator, you can find the closest odds for your back and lay bet. When you do it like that, both outcomes are covered. The back bet with the bookmaker and the lay bet with the sports exchange. Because the odds are so close or even the same, you are just going to lose a tiny amount of your money. But don’t worry, this small loss is already covered by the free bet you are about to get afterward. You sign up at a bookie which currently has the welcome offer “Bet £5 and get a £20 free bet”. Now you deposit £5 and place a back bet with the bookie. Place a lay bet thanks to the sports exchange. In the end, you are going to lose a few pennies due to fees you have to pay. Now you get the free bet of £20. Place the free bet as a back bet at the bookie and a matching lay bet at the sports exchange. Because it was free money, you are going to keep roughly £18 of the free bet. In total, you made a profit of £14 to £16 out of this promotion. It works the same way after you did all the sign-up offers. Because the bookies want to keep on punting, they are going to send you reload offers on a regular base, which work exactly the same way. Oddsmonkey also provides you with all the information for each offer. There are always some bonus requirements you have to fulfill in order to cash out your money at the end. The most common requirement is, for example, the minimum odd. The bookie mostly wants you to place your qualifying bet on a match with a minimum odd, such as 1.40 or 1.50. Oddsmonkey provides you with a nice tool, the Matched Betting Calculator. Here, you can calculate the profits for both the qualifying bet and the free bet. It also tells you, how much exactly you have to back and lay. All you have to do is to insert the back stake, the back odds and the lay odds. It then shows you the lay bet and the liability for the sports exchange. Also, it shows you the total profit you are going to make thanks to this offer. The liability amount is always slightly higher than the amount you place with the bookie. Always keep that in mind before you place the bets. A general rule is: the higher the odds, the bigger the profit but also the higher the liability amount you have to place. We can say, that Oddsmonkey is a really good provider of matched betting software. Their platform has a clean user surface and is easy to use. The free trial gives new customers the possibility to learn the basics about matched betting and try the first offers. The fees are transparent and refundable during the first 30 days. The customer support is available 24/7 and reachable via telephone, live chat and email. There are loads of video tutorials that are also available in written form. The core product is, of course, their matched betting software and the calculator. 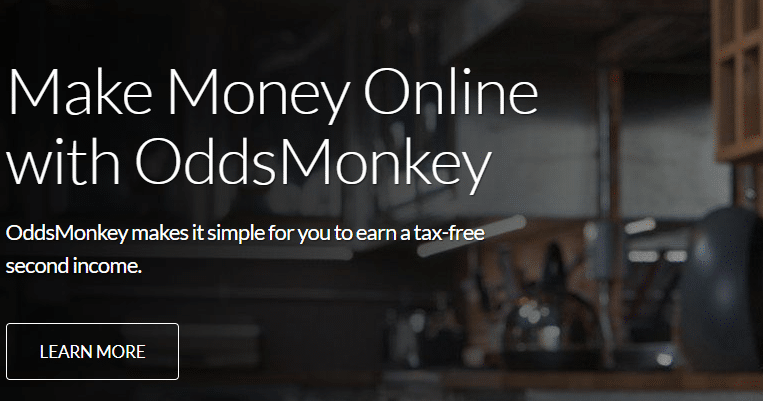 All in all, Oddsmonkey is a solid and trustworthy provider that will definitely help you start out with matched betting and learn it from scratch.